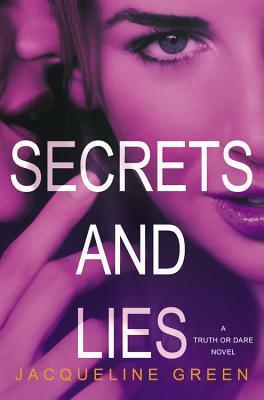 Today we've got an exclusive interview with Jacqueline Green, author of the Truth or Dare series. Check out our interview, and then make sure to check out her books! What is your favorite line or scene from your book? Did you always know that you wanted to be a writer? Do you have any advice for aspiring writers out there? 1. READ! As much as you can, anything and everything--especially books in the genre of writing that interests you. 2. Find a trusted source to give you feedback on your writing. It could be an agent, a friend, a class, a writing program, a writing group--just a person or group whose critiques you really trust. Receiving that kind of feedback, and using it to hone and revise your work, is the best way to improve. Vanilla chai lattes! They are like my writing drug. There’s something about the delicious mix of sugar and hot beverage and caffeine that always jumpstarts my writing. I will drink them in the dead of summer, even if it means having to sit directly in front of the AC while doing so! This is always the hardest question for me, because I have about a hundred absolute favorites! But whenever I think about the book that most influenced me to become a writer, I often go back to A Little Princess, by Frances Hodgson Burnet. I read that book so many times as a child, and was so in love with it. I think it played a large role in inspiring me to become a writer. There's one more book in the Truth or Dare trilogy. Anything you can share with us that we should be looking forward to? All your questions will be answered!!! It was so fun to wrap up all the mysteries in the trilogy, and give the characters (well...at least the ones still living!) real closure. I hope it’s fun for everyone to read, too! After wrapping up the trilogy, what's next for you? I’m in the very early stages of writing another YA book, which I’m really excited about. It has more of a fantasy slant than the Truth or Dare trilogy, but there’s definitely still a mystery in it! Jacqueline Green grew up in Wynnewood, Pennsylvania, where she devoured books the way other kids did candy. She never stopped loving those books she read as a kid, so after receiving her BA from Cornell University, she went on to get her MFA in Writing for Children from The New School. She’s since worked in many parts of the children’s publishing field, from marketing to editorial to writing. She now lives in Brooklyn, New York with her husband and their very small dog, who moonlights as her writing companion.